Bathroom mats. Toilet seats. Shoes. Dog tags, All of these items have, in recent years, gone on sale adorned with images of Hindu deities, particularly that of Ganesha, known most commonly in the West for his elephant face. “It is inappropriate, and it is offensive to devotees,” said a Hindu activist who protests against such commercial products. Images of Hindu God Shiva, Ganesha, Vishnu and Hanuman printed on Leggings. 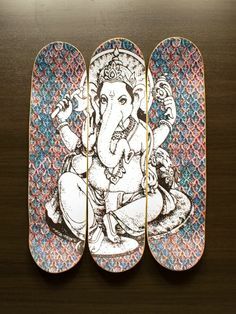 Last month, online retailers Wayfair and Kess In House was found selling bathmats, doormats, dog beds, leggings and rugs with images of Ganesha, who often is invoked in prayers for prosperity and success at the beginning of new ventures. Pointing one’s feet at another person is considered to be extremely disrespectful, while bowing at someone’s feet is a mark of veneration. Knowing someone from a religious group is linked with having more positive views of that group, according to a 2014 Pew Research Center survey. Only 22% of respondents in the survey said they knew someone who was Hindu, and when asked to rate their attitudes toward various religious groups on a “feelings thermometer” (where 0 degrees meant viewing a group as coldly and negatively as possible), they rated Hindus somewhat neutrally, at 50 degrees. Some Hindu symbols have become particularly valuable to brands.For instance, Brahma Beer in Brazil is by some estimates the ninth top-selling beer in the world. Though the reason behind the selection of the name Brahma is unclear (the brand originated in 1888), the name also refers to a Hindu god and is antithetical in a religion that sees alcohol as impure — or that at the very least would not associate it with worship. When the owner of Brahma Anheuser-Busch InBev, was approached about discontinuing the product, the owner acknowledged that it was too significant a revenue source for the company to terminate. 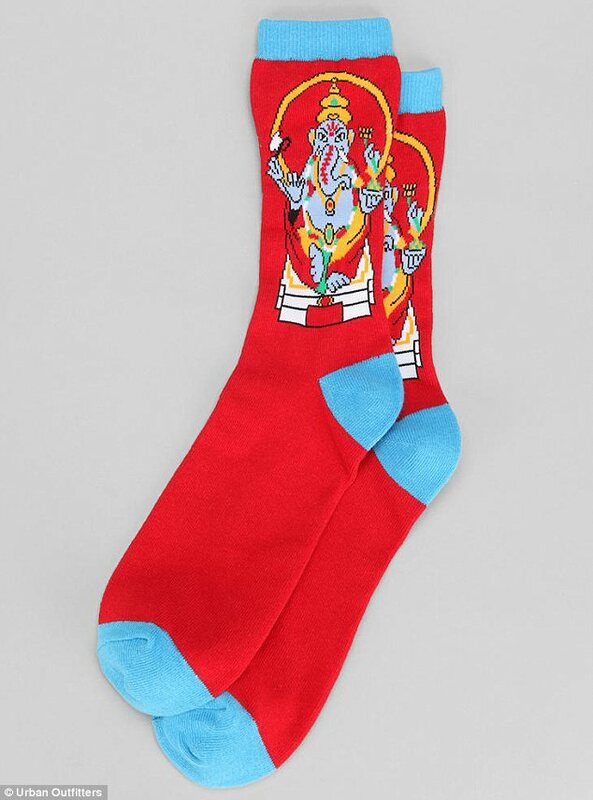 In the U.S., the multibillion-dollar yoga industry has for years produced yoga mats, towels and exercise pants that place “om” symbols and images of Ganesha close to or directly underneath the feet and legs. That’s a big problem, said Shukla, of the Hindu-American Foundation. “On the one side, people are very familiar with Hindu concepts like karma or reincarnation” and practices like yoga, she said. But on the other hand, these elements have been stripped of any association with Hinduism. “The more people understand about Hindu practice, the greater the likelihood of [symbols] being used in context,” Shukla said.